Greenwich, CT: This year Antiquarius, the Historical Society’s much-anticipated holiday events and major fundraiser, again hosts the Greenwich Winter Antiques Show, adds two designer events, and continues the ever-popular Holiday Boutique and Holiday House Tour. Don’t miss the excitement of this extraordinary week—filled with design ideas, gift possibilities and holiday cheer. 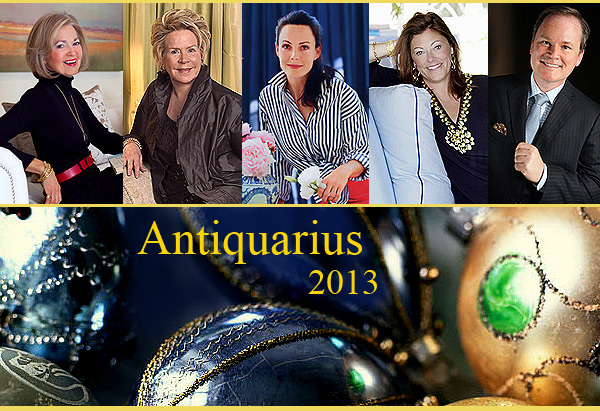 The Winter Antiques Show opens with a themed preview party Friday evening, December 6. The show itself continues through Sunday, with two special events on Saturday featuring nationally known designers. If you live in the Fairfield County or NYC metro area, and would like to come to Greenwich, CT for some fun holiday and decor-inspired events, join the fun! 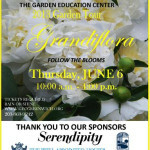 Call the Historical Society today to buy tickets! Tonight’s Antiquarius Preview Party theme is “Meet Me at the Beverly Hills Hotel: 90210 Meets 06830. This celebration will feature exclusive early shopping and consultation with exhibitors along with signature cocktails and hors d’oeuvres by Marcia Selden Catering and Event Planning. Tomorrow’s (Saturday December 7th) Designer Forum is great for any interior designer or budding decorator. 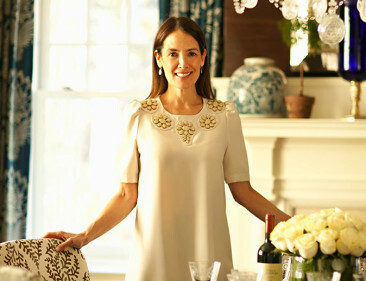 Mary McDonald, celebrated Los Angeles-based interior designer and Honorary Chair of Antiquarius 2013, will provide her unique take on contemporary style. 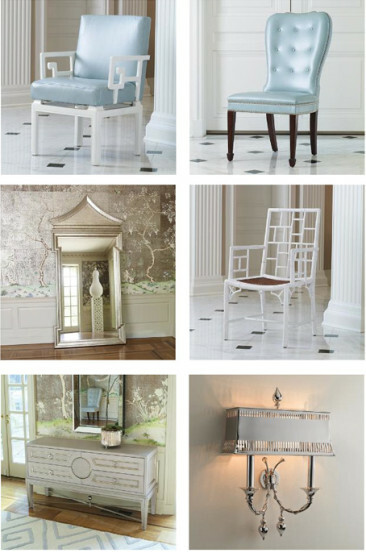 McDonald has been ranked as one of House Beautiful’s Top 100 designers, and her work for international clients has been featured in major publications. Post-lecture, the designer will be available to autograph her book, MARY MCDONALD INTERIORS, The Allure of Style (Rizzoli 2010, available for purchase at the show). Later in the afternoon, a designer panel discussion will take place. 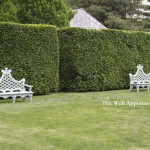 Connecticut Cottages & Gardens is an award-winning publication recognized for its lavish design, its editorial “sense of place” and its intimate connection with its readers. It has also been a loyal and active media sponsor of Antiquarius since 2011. Expanding its role this year, editorial director and editor D.J. Carey will lead a lively discussion with three of today’s most sought-after New York-based designers whose work is frequently featured in major design publications. Panelists include renowned New York-based designers Amanda Nisbet, Matthew Patrick Smyth, and Ashley Whittaker. Book signings will take place after the event. If you want to check out some gorgeous Greenwich homes, try to attend the Antiquarius Holiday House Tour! Capping the series of Antiquarius events, the ever-popular Holiday House Tour will feature five spectacularly decorated Greenwich homes. This year’s tour includes a Normandy-inspired guest cottage and epicurean retreat; a stunningly restored 1930s Georgian designed in collaboration with Bunny Williams; a House Beautiful cover story, Hamptons-style seaside home designed for family and entertaining; a post-Civil War jewel showcasing collections of American scrimshaw and hotrods; and a Federal-era home replete with Swedish antiques, beautiful art and hand-loomed fabrics. The house tour takes place on Wednesday, December 11th from 10:00 a.m. to 4:00 p.m. Call 203-869-6899, Ext. 10 to buy tickets for all events! Happy Holidays! Sounds wonderful. A great lineup.